The Fit Bodywrap and Crazy Fit Massage Weight Loss Promotion! 2 Options! 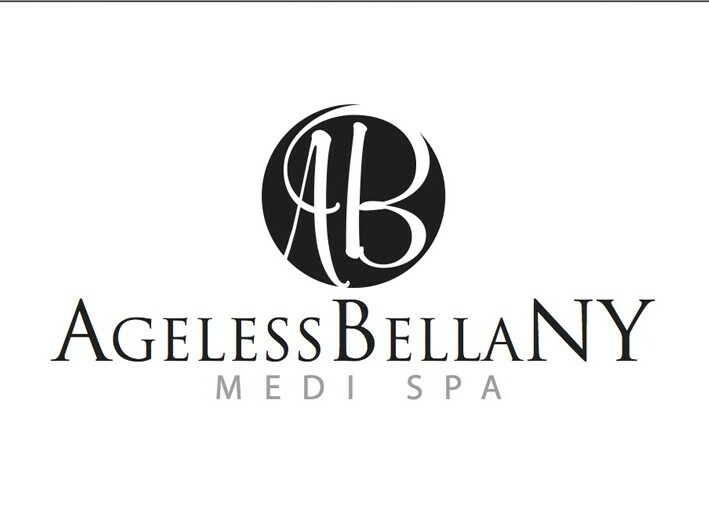 After a tremendous amount of demand AgelessBella NY is proud to bring the The Fit Bodywrap and Crazy Fit Massage weight loss special!! Our customers are having amazing weight-loss results from using the Fit Body Wrap and Crazy Fit Massage Full Body Vibration Exercise Machine in combination with each other. Patients are seeing tremendous results only after one session!! Instant Gratification! Studies show that after the first session of infrared therapy, chronic pain patients have experienced nearly a 70% reduction in pain. Sweat produced with infrared can contains as much as 20% toxins! That is in comparison to only 3%-5% toxins that are contained in normal sweat. 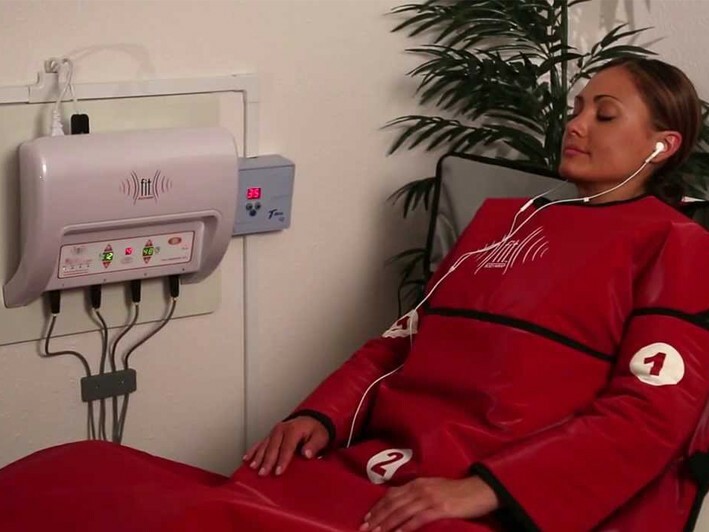 Infrared can re-balance and increase your metabolism which helps with weight loss both during and after a FIT Bodywrap session. The Whole Body Crazy Fit Stand up Massager is the hottest and latest technology in fitness. It is proving to be one of the most beneficial pieces of fitness equipment, as it gives you many results. Not only is this a massager, but also a weight reduction machine and a stress reliever. It provides relaxation to all of your body muscles. You will notice increased blood circulation, fight off bone density, increase your metabolism, increase your endurance, and gain a greater sense of well-being. For those interested in an equally healthy outward appearance, the Crazy Fit Massager is an exceptional tool. While promoting collagen production, skin appears visibly firmer and more youthful. Loss of cellulite has been reported. Clearly the benefits are endless! Research shows that the Crazy Fit Massager strengthens the cells of the body due to the repeated automatic "stretch reflex" in the muscles. By applying the vibration to your body you can improve circulation, tone nervous system and muscles, and enhance bone density. 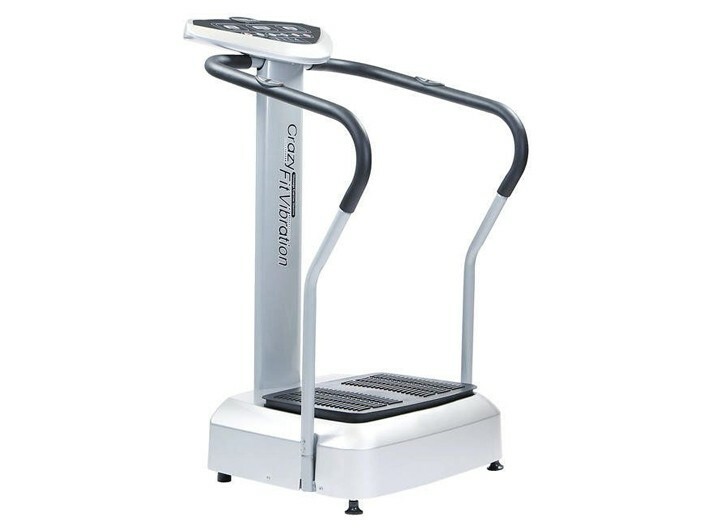 This machine is an excellent aid for a better range of motion, core conditioning and stability and plays an excellent role in losing weight naturally.